Every day, cultural practitioners, many of whom with ancestral ties to Waimea, can be seen throughout the Valley. Stone carvers, fishermen, lauhala weavers, and weapon makers are a handful of the growing network of artisans that call Waimea Valley their creative home. 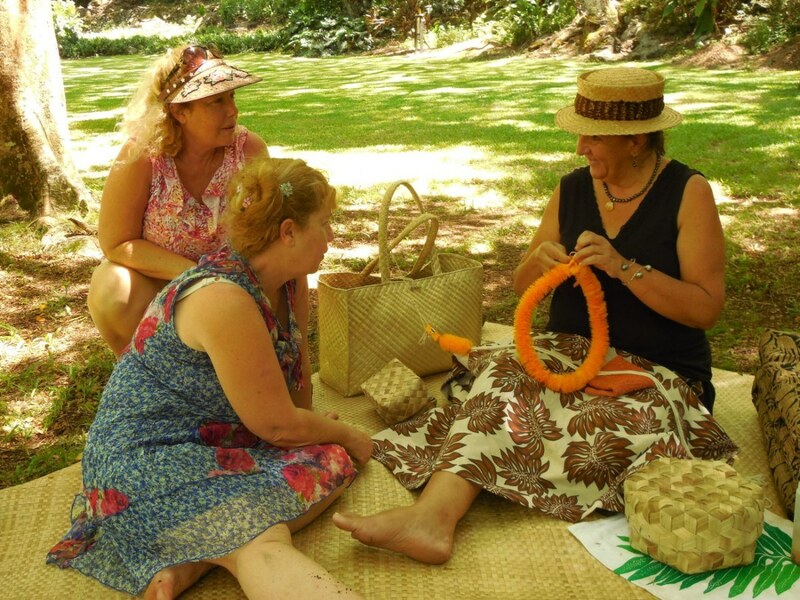 Visitors are encouraged to talk story and learn first-hand, the family histories and moʻolelo (story) that make the Valley so special. 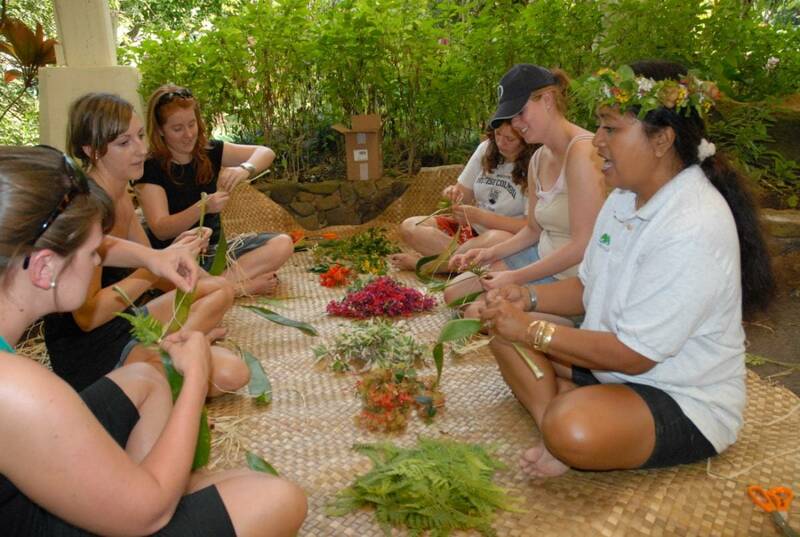 A variety of demonstrations, from hula dancing to stringing lei, and making ʻohe hano ihu (traditional Hawaiian flutes) are included in your visit. There’s never a time limit. In fact, we invite you to take your time, stroll, and if you’re lucky, you’ll catch our resident Aunties playing ukulele in our gardens.